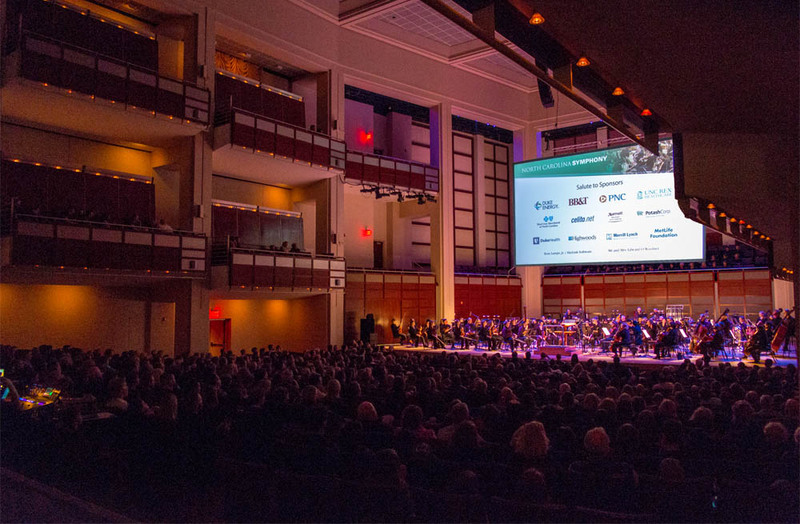 The North Carolina Symphony has cultivated successful and enduring partnerships with businesses and corporations across North Carolina. Sponsorship of NCS helps organizations to build brand awareness while strengthening their commitment to North Carolina communities. We welcome the opportunity to discuss the benefits that sponsorship can provide your organization. Thank you to the generous businesses and organizations that have already shown their commitment to the arts and to our community as Corporate Supporters. NCS concerts and programs reach more than 250,000 adults and children across the state. We offer a wide array of platforms designed to help companies build brand awareness, engage with our diverse audiences of music lovers, and enjoy a variety of benefits – including concert tickets, VIP hospitality, and invitations to private events. We look forward to creating a customized sponsorship package with you! To learn more about sponsorship opportunities, please call Pam Bash, Director of Corporate & Foundation Giving, at pbash@ncsymphony.org or 919.789.5482.